This is one of the most addicting and riveting novels I’ve read in 2017! Cara Putman’s story has a plethora of various threads woven together to keep readers on the edge of their seats and turning pages. The action is fast-paced; the quest for justice and fighting evil is paramount. It isn’t easy to pinpoint the antagonist, but then again there might be more than one! A lawyer named Hayden McCarthy works for a major law firm. Hayden is given cases that seem impossible to win; yet, Hayden tends to do just what isn’t expect from the opposite side of the courtroom to win. The case that will make or break Hayden’s career could also come at the cost of life. When other get involved, more people turn up hurt or dead. Andrew Wesley is a congressman’s only heir. Andrew wants nothing to do with politics. In fact, when readers learn what he likes to do it is unexpected. Yet Andrew also works with a non-profit organization to help legal immigrants get acclimated to a new culture with all its nuances. Neither Hayden nor Andrew have any time for relationships, however, that could change. 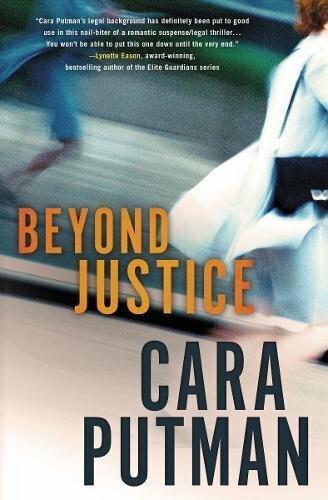 Cara brings into the story her vast knowledge of law, courtroom experience, and human nature along with faith to bring to life a most heart-gripping tale that I couldn’t put down! There were twists and turns when I least expected them along with characters that seemed to have multi-faceted agendas. As I went further and further into the tale, the more the author shared the heart and background of some of the players in her story. Some of the office politics between partners were filled with animosity or secrets that kept me wondering who was for justice and who was hiding what. I love how intense and focused Hayden could be and how Andrew honored his parents’ wishes, learning they did love him. I hope the author plans on writing more tales that are in the legal thriller/suspense genre as it seems an awfully good fit for her talents. Don’t miss this exciting, nail-biting, heart-pounding story!